Vision is one of our most important sensory functions. Just like any other organs, the condition of our eyes changes with time. 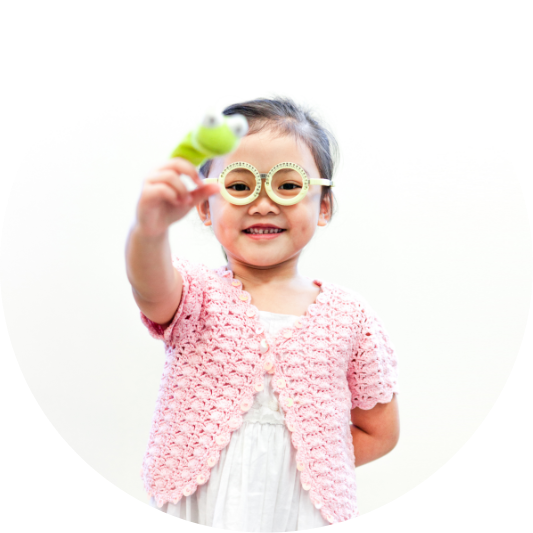 Our focus is not only on the changes in prescription but the entire visual system, including its function and health. If our answers do not solve your problem, welcome to ask immediately. Our specialist will answer you shortly. 最近對眼易累， 視覺矇左， 眼窩不舒服， 不時有嘔吐感, 本身有怕光和流眼水問題，有機會是患上嚴重眼疾嗎? 謝謝! 請問有腎病(在家中腹膜透析)的病人, 晚上瞓唔到, 日間才瞓. 睇嘢反白, 係乜原因? 除了睇腎科, 還可甚麼處理呢？請賜教. The jelly-like substance filling the space between the crystalline lens and the retina is called “vitreous humour”. The vitreous humour degenerates and liquefies when we get older, at which time we start to see floaters. Floaters can be moving opacities of various shapes and sizes (dots, circles, lines or spider webs). Physiological floaters usually occur when we are looking at a bright homogenous background such as a white wall or the blue sky. The floating opacities are few in number and remain unchanged over time. They represent normal physiological changes of the vitreous humour. As we age, the vitreous humour undergoes the processes of synchysis (liquefying) and syneresis (dehydrating and shrinking). These are normal agerelated degenerations. Pathological floaters appear suddenly and may occur in great numbers. They may suggest bleeding within the vitreous humour, inflammation of the uvea or separation of the posterior vitreous humour from the retina. If the floaters are accompanied by flashes or visual field defects, it may indicate retinal tear or retinal detachment. When the vitreous humour contracts and detaches from the retina, it is called acute posterior vitreous detachment (acute PVD), at which time sudden onset of floaters and flashes occur. Floaters can be caused by vitreous opacities or haemorrhages, whereas flashes are caused by the vitreous humour pulling on the retina. An urgent dilated eye examination is essential to check for retinal tears, which should be repaired with laser as soon as possible, to prevent it from evolving into retinal detachment within a few hours. 小朋友現在19個月大, 由出生開始眼白就有黑色小點. 醫生說是正常.1歲左右, 都仍有此問題, 而且多了一、兩點, 看醫生沒有特別檢查, 只說正常. 近日再發現眼白黑點數量有增長, 而且大小有增加, 要如何處理? 而且小朋友經常揉眼睛, 有關係嗎? No worry. PolyVision offers customized optical dispensing service with a dedicated team of professional consultants. Our highly experienced customer image consultants will provide professional advice and customized solutions for spectacles and sunglasses prescriptions. A comprehensive eye examination is recommended for a better understanding of vision and refractive status and ocular health. There is thinness in my retina. Is there any machine that can check whether there is hole in my eye in future without eye dilation. Thanks. Since there is thinness is diagnosed in your retina, we would suggest having your eye examined with pupil dilation for a peripheral retinal examination for monitoring regularly. 我35歲, 左右眼近視600, 散光左右200度, 近幾年夜晚係街唔夠光既地方, 明顯覺得視力變差, 請問那是正常的嗎? 最近上堂睇出面好矇 於是去配眼鏡 驗到左眼有50度近視 100度散光 右眼有75度近視 50度散光 配左眼鏡 但視光師驚我第一次戴眼鏡唔慣 會暈 所以只配近視度數俾我 如果只係上堂 睇戲先戴 唔長期戴住 可以嗎? 同埋用電腦 做功課時 洗唔洗戴眼鏡? 另外 一開始戴眼鏡有少少暈係咪正常? Thanks! I have done the sugerty for cataract but my vision is still blurried. What can be done. You might still have some uncorrected refractive errors. You may seek for advice from optometrist 1 month after the surgery. 在美容院紋眼線時意外滴進痳醉藥入左眼,之後發現眼白長期紅及有一層膜,沒有處理,事發3個月後, 現在連右眼也覺得眼白常有一層眼膠似的, 令視力模糊,請問原因何在? 應怎樣處理及醫治. 謝謝. 您好: 小兒今年8歲, 最近發現他的左眼在非專注的情况下出現輕微的外斜視, 而當叫他 “望住我” 的時候, 又卻回覆正常. 請問這現象是真斜視還是假斜視 ? 是否需要接受治療 ? 謝謝您. 我女1歲成日捽眼, 或矇起對眼 (皺眉) 會唔會導致散光或者眼敏感? 1歲幼童有無需要做檢查? 因本人有散光, 會遺傳小朋友嗎? 我爸爸已82歲, 上星期開始其中一隻眼睇嘢有網紋, 已睇眼科醫生開咗眼藥水, 滴咗一個星期都冇改善。 醫生講過要做手術, 請問咩原因? 我是21歲大專生, 做完laser , 想預防近視. 而家基本上介左手機, 1日睇手機時間唔多過15分鐘. 平時每日溫習 用電腦時間可能加埋有5個鐘 平時近距離望字溫習會控制係距離40cm-60cm 望電腦大約距離60CM-80CM 每20分鐘合眼休息約兩分鐘, 每40分鐘合眼休息約5-10分鐘. 望近野既時候會刻意眨眼. 請問其實是否一望近野, 睫狀肌係咪會即刻收縮? 主要係緊張得耐先會令假近視有機會出現? 再不休息就變成真近視? 我1日睇書同電腦加埋5至6小時, 但有以上既休息同眨眼習慣, 係咪會難D 令睫狀肌緊張? 有無什麼意見可以比我? D人話白天出戶外活動(要有陽光) 有助預防近視, 其實適唔適用係成年人 21歲? 咁如果帶住副太陽眼鏡 白天戶外活動, 會有預防近視的幫助嗎? 唔該哂! CON 既BC同直徑有咩關係? 上網睇話BC愈小,直徑愈小就會鬆d 舒服d 如果我弧度8.8 戴 BC 8.5 直徑14.2的CON可以嗎? 你好，前幾日我來了理大護眼中心做左全眼檢查 視光師話我左眼角膜邊緣因以前發炎留下有疤 其他方面都冇咩大問題 但我好擔心個疤會對隻眼好大影響 請問如何保養？是否防止眼睛再發炎就ok? I have a pterygium eye,and i want to remove the white spot because im scared..what shoul i do.. If you confirmed that you have pterygium, and you want to get it removed, please have a consultation with an ophthalmologist, and seek for their advice to suit your need. 您好, 舊的眼鏡已經用了7年了, 最近配了新眼鏡度數要求跟前鏡片一樣, 新眼鏡看東西顏色比較光鮮、對比更強, 帶久了除掉眼鏡時還發覺霧茫茫現象, 是否度數出問題? 小兒在學生健康服務中心內, 獲得簡單診斷: V.Acuity: R 0.95 L 0.10 請問數字是否代表近視數值 95度和10度? 請問眼鏡鏡片的近視, 散光, 散光軸, P.D. 可接受的誤差是多少? 女兒9歲發現右眼弱視，做了3個月的lazy eye training book, 視光師認為有些進步。請問仲有冇得醫治? I just bought a glass. In fact, I do not intend to wear the glass often. Maybe I wear the glass when I need it. For my left eye: 150 and my right eye: 50. I can still see the things quite clear. Is it harmful to my eyes if I simply wear glass when I need it? Would the eyes deteriorate? Spectacle wear when needed usually will not lead to deterioration of vision, but it will possibly affect the clarity and comfort of vision. Tiredness, headache and blurry vision can be some possible symptoms of uncorrected refractive error. Age and visual needs also affects the needs of full time wear of spectacle. If you have further queries, a comprehensive eye examination is suggested. 女兒剛滿6歲驗眼發現 右 SPH 0.50 CYL-0.75 AXIS 180 左 SPH 0.50 CYL-1.25 AXIS 165 眼鏡店的視光師指她必須開始配戴眼鏡以防視力繼續下降. 我在你們的網頁看到 “角膜矯形鏡片”, 請問這種鏡片是否只對控制近視有幫助? 6歲可以戴嗎? 本人天生左眼弱視, 現左右兩眼均有300度, 每年都深25度左友口, 請問做激光矯視可以嗎? 有副作用嗎? 小兒19歲, 早幾年發現有近視, 右眼300度, 左眼幾十度,但他一直堅持睇得見(因為有一隻眼清楚), 而不肯戴眼鏡, 想請問如他一直不肯戴眼鏡視力會加深得快些嗎?另外過了18 歲發育期, 視力是否會較穩定不再加深?? 我媽咪右眼經常有很多淚水流出眼眶，影響日常視以及生活。 曾找兩位眼科醫生斷診，一位說淚管塞了，並嘗試通淚管，但作用不大。在通淚管時，亦不像左眼，有任何水由淚管流到喉部。再覆診時，醫生說這不是眼部問題，說他幫不了我們。故我們轉了第二位醫生。 第二位醫生說是”角膜鬆弛”，令眼淚不能流到淚管中，所以他開了一些眼藥水，並持續滴了一個月多，仍不見好轉。覆診時仍堅持說是角膜鬆弛，並換了其他眼藥水。但效果仍不顯著。 想請問有什麼原因會致上述問題? 又為何兩位醫生所判斷的又相差這麼大? 做視網膜脫落手術收費多少？ 因為本人是高度近視and雙眼玻璃體可以萎縮 醫生說可能容易會視網膜脫落 雖然有定期check, 但好怕不知幾時脱落 想知到手術大概甚麼價錢？ 謝謝! 您好! 本人現年35歲, 已確診患有乾眼症, 並有使用不含防腐劑的人工淚液. 因工作需要每天使用電腦8小時以上, 以致眼睛常感疲乏, 甚至痠痛, 紅筋不退. 已按眼科醫生建議, 配戴低度數遠視(50度)眼鏡, 但症狀仍未明顯改善. 請問這是什麼病症? 上述配戴遠視眼鏡之方法可否長期使用? 有否其他方法治療? 右-525 -200 散光軸 172 左-725 -125 散光軸 177 請問我右眼應該配戴170度的散光隱形眼鏡還是180度? 你好! 最近兩天左眼覺得有D嘢遮在前面, 不是黑影, 感覺像有條毛上下掃, 不痛不痕!, 請回覆. 你好, 我想問透過全面眼科視光檢查, 是否能檢查出以下的眼睛問題, 例如: 電腦視覺綜合症、青光眼、白內障、黃斑點病變、視網膜脫落、乾眼症、結膜炎等? 謝謝! 幼兒(5歲)患了近視, 本人會從運動、視野範圍、作適時間、坐姿、食物營養各方面協助防止其近視加深；但有關家居照明裝置方面卻有疑問，請問: 1. 家居室內照明應如何安排? 重點是什麼? 2. 使用光管/慳電燈泡/LED燈泡, 哪種較好? 2. 天花燈使用沒有燈罩的燈泡可以嗎? 3. LED燈泡的藍光會影響近視加深嗎? 標不有防絃光作用的種類是較好的? 4. 日光燈(day light)還是暖黃燈(warm light)合適? 5. 書桌靠近窗邊合適嗎? 我右眼有時起身睇野會濛左 帶左眼鏡都係 睇D字會好散 去問視光師 佢話近視散光無加深 話我右眼較左眼差 所以訓得唔好就會出現呢個情況 請問係咪真呢? Hi, 幫忙解答. thanks in advance. 左眼- 450 散光, 400 近視 右眼- 450 散光, 600 近視 佩了眼鏡, 但視野仍是帶點模糊, 看不清. 請問是否度數太深, 眼鏡己無法完全幫助? 本人今年四十, 是否退化有影響? 謝謝. 眼白有1粒黑點 另外有時睇野會睇到有野飛過但拍又拍唔到 同埋成日流眼水 睇野有光圈咁 想問係咩事? 本人十六歲中五學生 近日驗出左眼75度近視 右眼75度近視 25度散光 從報章上見到散光不論度數都要修正 因此,請問我是係咪要驗配眼鏡或隱形眼鏡矯正視力(近視 散光)?配左眼鏡帶幾耐會有好轉? 同埋想問係邊到可以買到以上用品? 萬分感激~! 你好! 本人有深近視同深散光. 咁大約兩年前去睇過私家醫生，就話發現視網膜周邊比較薄，但未有破損。 咁個醫生就話可以做激光鞏固視網膜，但未有咁既急切性。但我最後都係照樣做左。 其實我想問如果係視網膜未有破損之前做左，是否真的對預防視網膜脫落有幫助，會吾會反而有反後果? 而且我個時做呢個手術得十九歲，會否因為眼球未發育完全而受激光所傷害? 事實上，激光鞏固視網膜會否損害其他眼部組織? 謝謝! 4歲驗出弱視眼有嘗試矯正, 當時左眼300度, 右眼100度。有戴眼鏡, 但每年都有繼續加深, 現在20歲左眼350右眼300了, 怎麼停止近視加深? 您好!本人34歳,大約於2004年在香港做了激光矯視手術, 當時雙眼約有900度近視, 去年3月發現有4小粒飛蚊, 去年12月開始一星期一次做針灸, 4小粒飛蚊開始轉淡, 但今天左眼突然出現1cm直徑似黑色橡皮圈的飛蚊, 閉上眼時都有橡皮圈影像, 剛在3月時才在理大做了全面眼科檢查, 是否飛蚊嚴重了, 會有視網膜脫落危險嗎? 十分感謝! 我囝囝今年7歲, 第一次去體檢, 出來結果是近視左右眼都是200度, 平日對他有關眼睛的事會特別留意, 都患有近視, 又不是遺傳, 現應該第一部怎做, 立即配眼鏡, 還是有其他可指引我呢? 小兒6個月大時去健康院驗眼, 醫生說是假鬥雞, 但現在10個月大, 還沒有改善。 因之前政府的醫生, 給我感覺好求其和不專業, 現在我想請問貴中心有沒有替未夠一歲的小朋友驗眼服務? 請問理大眼科視光學診所同Poy Vision 係咪有聯係的?? 另外我小朋友4 歲剛驗到有300度遠視及150度散光, 係咪要配戴眼鏡? 日常生活可以做d咩黎防止遠視加深?? 謝謝!! 你好! 我女兒現在14個月大, 是早產BB(32週出生), 從出生至現在, 她的雙眼的眼球,黑色的部分, 有一些如”油漬”的物體。 請問這是什麼?會影響視力嗎? 健康院的醫生只是說:應該沒什麼問題….但我十分擔心… 只有14個月大的BB, 我可以帶她來檢查嗎? 請回覆。謝謝! 我有近視225度左右 散光有400度 你們有同事回覆我暫時不suggest我請配矯視隱形眼鏡, 那麼普通的con又能否配到? 會否清晰? 我有近視225度左右 散光有400度 請問我能否配到矯視隱形眼鏡?價錢大概多少? 是否晚上配戴後, 第二天除後, 可以看見清晰畫面? 我本身左眼有遠視250度 散光50度, 右眼平光。如果我單起左眼集中睇某一點既時候, 慢慢會出現雪花同我睇嗰一點會黑色咗, 睇唔到野, 慢慢又無事, 但係右眼唔會咁架, 好驚, 唔知咩事! 本人23歲, 冇近視, 眼壓用非接觸式量偏高;兩眼24-26, 接觸式測試正常;18-21. 有做一些外眼檢查和小瞳眼底檢查都正常. 最近一星期早上起床後左眼會一片眼濛, (眼分泌物-眼屎都有點的), 但揉一下眼睛,很快 幾十秒又正常清晰! 這個狀況那麼潛在什麼可能性? 建議去做一些什麼檢查? 謝謝! 眼睛有血絲, 還有一條垂直的, 有時出現, 一會就沒有, 這正常嗎? PS.前幾天做完polyviosion檢查無問題 還有看天空的時候有飛蚊症現象, 小時候就有一直沒增加。除了看天空以外其他地方都沒飛蚊症狀. 想知道之前眼角膜受過傷, 好了之後, 發現有時在睡覺時約02-03:00 眼角膜就好像再受傷, 之後看東西就有兩個影及看不清楚. 請問有咩方法能解決得到此問題. 好像到一段時間就會出現一次. 你好, 本人24歲, 半年前做了全面眼科視光檢查, 眼睛健康, 但有近視散光. 最近本人打算配眼鏡, 發覺散光加深. 想請問一下, 什麼原因只會散光度數加深, 但近視度數不變. 成人的視力理應穩定, 但本人一年半都會有25度上升, 是否有問題? 謝謝. 女兒今年15嵗, 兩眼近視分別為200多度. 少於50度散光 現在帶矯視眼鏡以防加深, 仍有效嗎? 我本身有近視及散光, 需戴眼鏡, 但近這三個月, 看遠時沒有問題, 但當看完手機或報章雜誌後(但其實看這些開始不清楚了, 要拉遠些距離), 對眼很花, 不清楚, 濛查查, 要待三分鐘左右才回復正常. 有老花是否這樣? 或是我患了更嚴重的問題? 我的爸爸曾在數年前做過通淚管手術. 一年前發覺左眼有黑色固定影像擋著, 它會隨著眼球移動. 近期連右眼也有出現黑色固定影像擋著, 請問是否退化? 我女兒現在4嵗4個月, 8月7日在將軍澳醫院做眼睛驗查, 放朣孔, 當時醫生說她左眼有200多散光, 8月13日, 再做了屈光檢查, 結果如下 左眼: Sphere 050 / Cylinder-200 / Axis 30 右眼: Sphere PL / Cylinder-050 / Axis 170 以上的檢查, 我只知道女兒左眼冇200度散光, 其他都不知代表什麽 1) 可以幫忙解釋一下以上的結果 2) 由於視光師做檢時, 房里有另一個人, 做出某程度上的聲音干擾, 及視光師的态度麻麻地, 令我對檢查結果的準確度存疑, 想帶女兒到私家再檢查一次, 請見有這個必要嗎? 3) 另配什麽類型的眼鏡會好些? 謝謝! 我的女兒快5歲了, 左眼遠視350度, 右眼正常, 已進行了兩個月的遮眼訓練, 每天遮右眼4小時, 但剛覆診, 醫生說左眼完全沒有進步. 現已增加到6小時. 請問還有別的治療方法嗎? 聽說旋轉式菱鏡治療進步會較明顯, 是嗎? 香港有嗎? 有散光200; 近視260; 視力正常, 上星期四去check 過眼..眼壓眼底正常….但今個星期一同二(今日)早上一張開眼看見景物一下一下地動(如眼睛在用力心跳), 過兩分鐘後正常..之後又睡了一小時,(早上十一時) 景物又一下一下地動…過幾分鐘後又正常…這是眼壓高嗎?或者是甚麼? 需要做什麼檢查嗎? 承蒙解惑,感激不盡: 1.小朋友125度遠視是否正常?是否需要配戴糾視眼鏡糾正?小朋友4歲,配戴眼鏡是否有效於8歲前修正小朋友的視力? 2.如小朋友遠視回復75~100度,是否仍需配戴糾視? 3.街外或者說一般的視光師是否慣例加大驗眼的度數? 4.對小朋友而言,遠視有何治療方法? 如小朋友125度遠視可否通過做眼保健操達到修復? 5.何為輕微遠視?有何標準/範圍? Hi I am 16 years old and I have been wearin glasses since I was around 9 years old. I have recently been wanting to change to contacts, but the problem is that I do not want to wear contacts in the day, and I liked the idea that the OK lense was kind of a “retainer”, and I didn’t need to wear contacts during the day. My mother tells me that it is too late to wear the “OK” lenses as my sight will not deteriorate at the speed it did when I was younger. For this same reason, she also doesn’t want me to wear them as she feels there is no “need”. Should I follow her advice and get prescribed for the normal one day/ one week etc contacts or should I wear the OK lense? Orthokeratology is a non-surgical procedure that can temporarily correct refractive errors and helps to slow down the progression of myopia. For some cases, adults might also use it to replace spectacle and contact lens. We suggest you to go together with your mother and seek further advice from optometrist during Comprehensive Eye Examination. 小女今年8歲, 右眼近視120度, 左眼遠視25度, 請問是否需要配戴眼鏡或矯視鏡? 或者可有其它更好的方法? 謝謝! 近來發現(發現意思為平日沒特別為意, 因近日一次機緣下才發現此情況), 然後上網看看, 發現有人有相同情況, 如下: “雙眼向左右轉到盡，會有一個圓形黑影。例如，左右眼轉右，在左眼視野右端有黑影，而當轉左時，在右眼視野左端有黑影。在光之下容易見，黑影是半透的，請問這是正常現象，還是不正常，為什麼呢？ ” 而本人發現時, 是輪流向左或向右看, 同時頭部移動會明顯見到此狀況出現, 而黑影圓形會隨移動由小漸大狀, 向另一邊方向也是如此. 是眼睛出現什麼毛病嗎? 還是只是正常狀況(畢竟眼睛好少真的轉到盡去看東西), 還是如網上一些回答指, 是有關盲點的情況而已? 謝謝解答! 您好!本人33歳,大約於2004年在香港做了激光矯視手術, 當時雙眼約有900度近視, 手術之後一直看東西比較矇, 但矯視中心其後的幾次檢查表示我近視已零度, 由於深近視所以要多點時間去除矇朧感覺, 但我一直看東西有點矇,前2年我也佩了100度的眼鏡, 今年11月由於眼乾但多眼水去眼科診所求醫, 醫生稱我是天生深近視眼, 現在應有百多度近視, 他替我通了淚管但可能天氣亁燥而眼亁, 但眼睛正常, 現仍常感到眼亁,少許眼矇及不適, 常覺得眼睛有異物, 是正常嗎? 要再找醫生詳細檢查嗎? 謝謝解答, 祝好! 你好, 1) 在配眼鏡結果中看到自己左右眼AXIS度數相差好大，請問是否正常？右眼axis:10 左眼axis:180….正常嗎? 2) 新眼鏡 他把我散光減了50度, 變相我看燈光依然呈放射狀, 這也是正常嗎?! 3) 帶後令我頭暈, 看東西怪怪的(不到多於1 hr, 就接受不到, 帶回舊的)…事後上網找inf. 明白到: “配眼鏡時的度數、焦距、瞳孔距或散光角度不對，的確可能造成頭暈” 他給我的資料只show散光, 近視, 及axis, 但沒show 焦距、瞳孔距這些….是否他量少了而令我產生暈眩感? THANKS! 小兒今年15歲，驗眼結果是 R:-0.5 -0.5 x 005 L: 0.75 DVA20/20 , NVA 20/20 . 數字是指左近視 50度 ,散光50 度,右眼遠視75度嗎? 需要帶眼鏡嗎? 謝謝 ! Thank you for your enquiry. Our specialist will answer you shortly. Thank you.